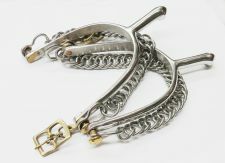 English or gaited horse spur straps. 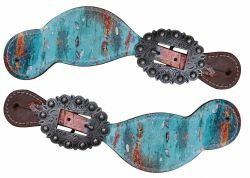 Stainless steel " Old Style" western spurs with chain. Showman ® Copper patina spur straps. 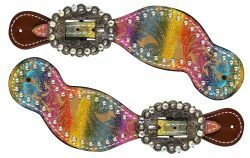 Showman ® Ladies size metallic rainbow paisley spur straps. 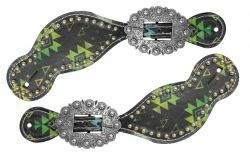 Showman ® Ladies size spur straps with Navajo diamond design. 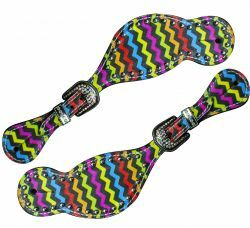 Showman ® LADIES SIZE Rainbow chevron print spur straps. 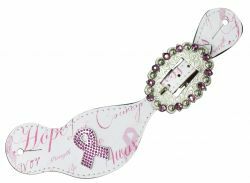 Showman ® Ladies size spur straps with "Hope" print. 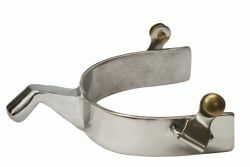 Showman ® stainless steel " Humane" Ball end spur. 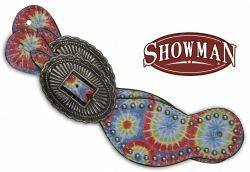 Showman ® Ladies size tie dye print belt spur straps. Showman ® Ladies size tie dye print spur straps. 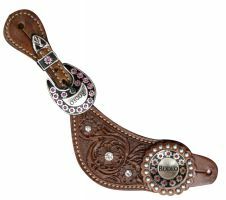 Showman ® Showman Floral Tooled Leather Spur Straps with "Rodeo" Conchos and Buckles. 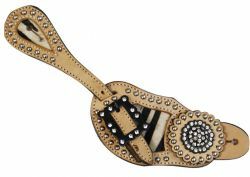 Showman™ Ladies size bling rhinestone spurs. 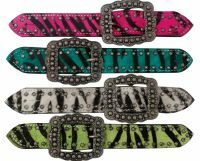 Showman™ Ladies Belt Style Spur Strap with Hair On Zebra Print. Showman™ ladies size floral filigree spur straps with colored background. 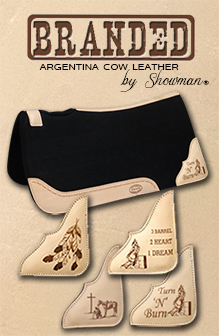 Showman™ brown steel spur with 1.25" band and 3" shank. Details are engraved silver with gold rope inlay. Showman™ Black Steel Basket Weave Embossed Spur. 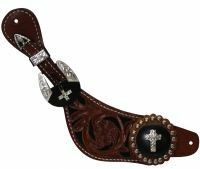 Showman® brown steel spur with 1.25" band and 3.5" shank. Details are silver engraved scrolling on band and shank.